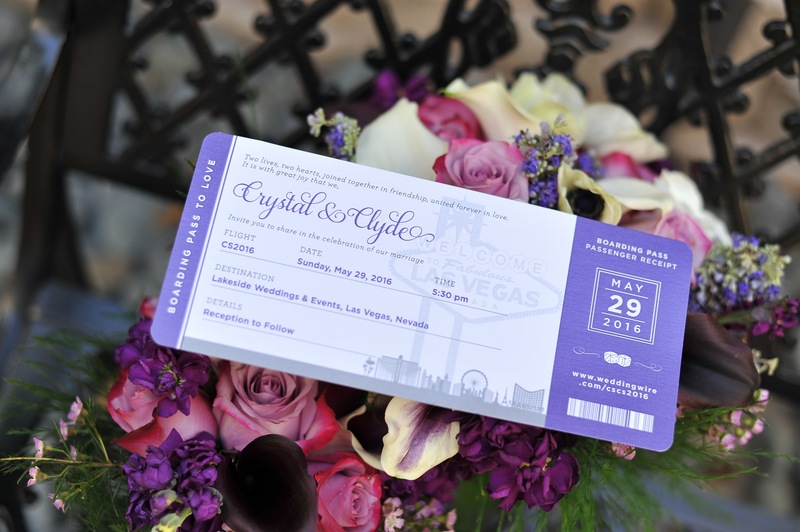 Las Vegas is a top-notch wedding destination and these boarding pass wedding invitations are the perfect way to get your guests excited to celebrate! Crystal and Clyde discovered our ticket invitations on Instagram and fell in love! The little details make this one special. All of the information is inspired by a traditional airplane boarding pass design, including a custom flight number for the couple. The Las Vegas sign is faded in the background with a silhouette of The Strip. A pair of dice, a barcode, and cute wording complete the invitation design. 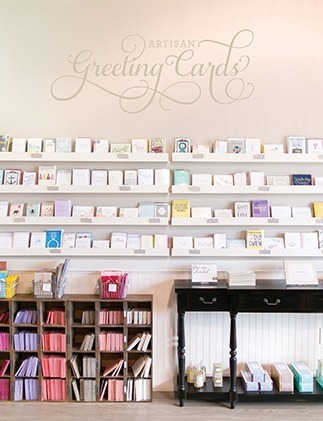 The cool purple and gray color palette carried over to the reply postcard, as did the rounded corners. 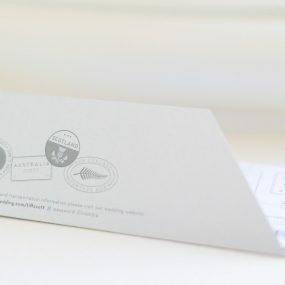 This little detail makes the invitation set feel more like a boarding pass. More fun wording further builds the excitement to party in Las Vegas! A wedding in late May in Las Vegas can be hot! So, what’s a bride and groom to do? Provide ceremony program fans to their guests! 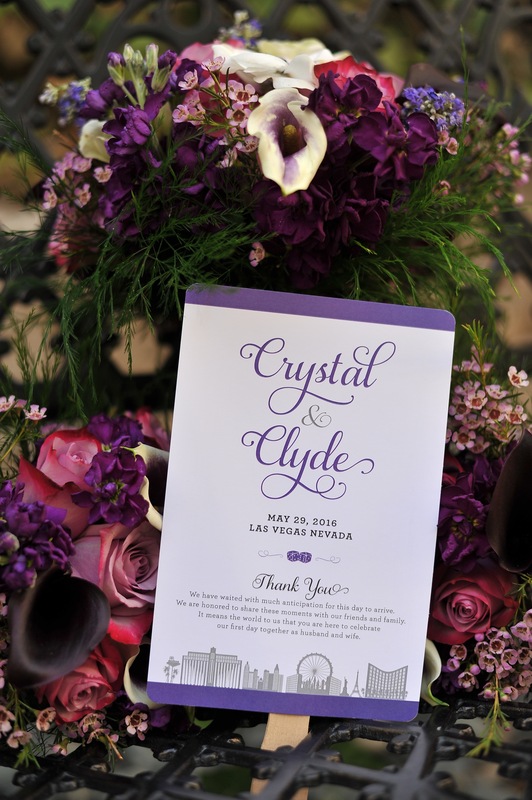 Crystal and Clyde’s stationery accessory matched the boarding pass wedding invitations perfectly. 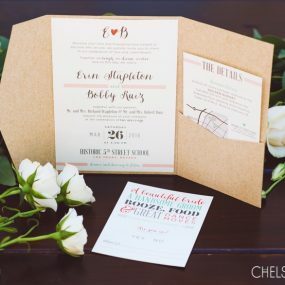 We love it when couples tie in their invitation design and so do the guests! Doing so really does customize the wedding day. You could say, we’re a “fan” of wedding accessories. Had to do it! Our congratulations to Crystal and Clyde! The wedding took place this spring at Lakeside Weddings & Events, where they specialize in outdoor garden and lakeside wedding ceremonies and receptions. They are located on the beautiful shores of Lake Jacqueline in the Summerlin / Desert Shores community. 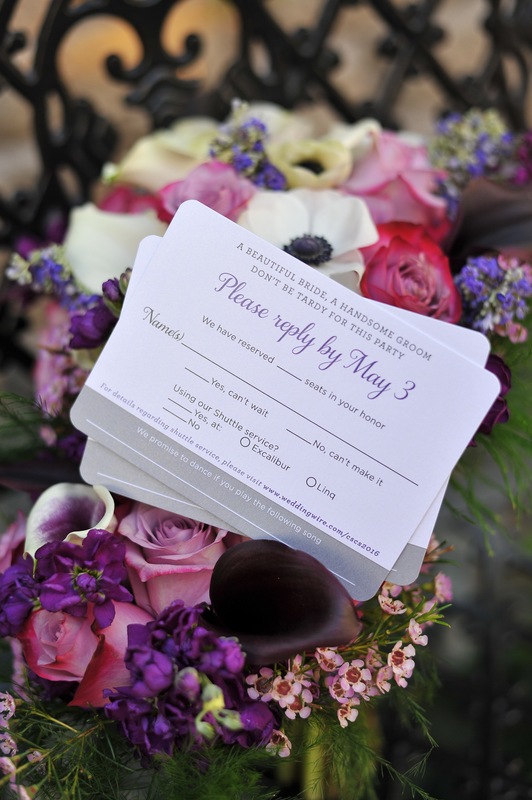 Special thanks to Cashman Brothers Photography for capturing the boarding pass wedding invitations and stationery at the wedding! 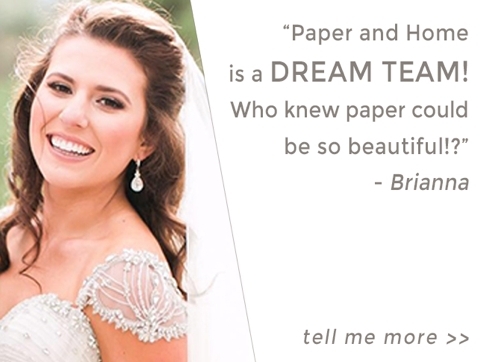 From Cashman Brothers: We understand no two Las Vegas weddings are alike, and that’s why our approach to your wedding photography is one of complete customization. You’ll choose only the services and products you feel best compliment you as a couple, and we know you’ll love not only your imagery, but the professional and caring experience only Cashman Brothers Fine Photography can provide.